Featuring free WiFi, a restaurant and a barbecue, Restaurant Massa & Petit Hotel des Eaux-Vives offers a small boutique accommodation experience in Akakura Onsen, Myoko Kogen. The hotel and restaurant was newly renovated and re-opened in December 2014. Rooms include a flat-screen TV with some rooms featuring views of the mountain or garden. Every room includes a shared bathroom. You will find a 24-hour front desk at the property and free private parking is available on site. For your comfort, you will find slippers and free toiletries. There is a total of 7 rooms with family rooms available. Guests can enjoy the on-site Restaurant Massa. Meals are served in the main dining room of the Petit Hôtel des Eaux-Vives. 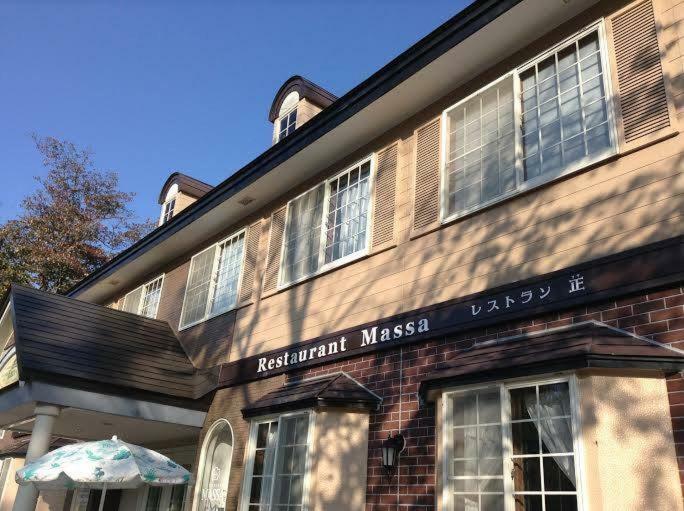 Chef Massa worked for 10 years at a Michelin-starred French restaurant, as well as ten years serving traditional Japanese cuisine at his own Restaurant Massa in Geneva. Specialties include sushi, sashimi, seafood quiche, salmon marinade, Japanese-style boullaibaise using the best from the Japan Sea, chicken teriyaki, pork Cordon Bleu with mushrooms and cheese plus Chaliapin beef steak with sauce Bordelaise. Petit Hotel des Eaux-Vives is a 10-minute drive from JR Myoko Kogen Station. BookPetit Hotel des Eaux-Vives now! Read reviews for Petit Hotel des Eaux-Vives – coming soon! Any other questions, requests or comments?